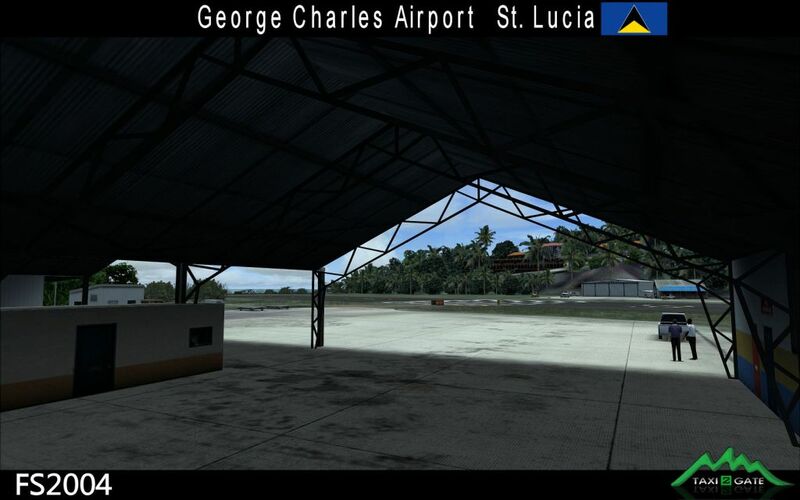 IATA: SLU, ICAO: TLPC - is the smaller of two airports in Saint Lucia, the other being Hewanorra International Airport. 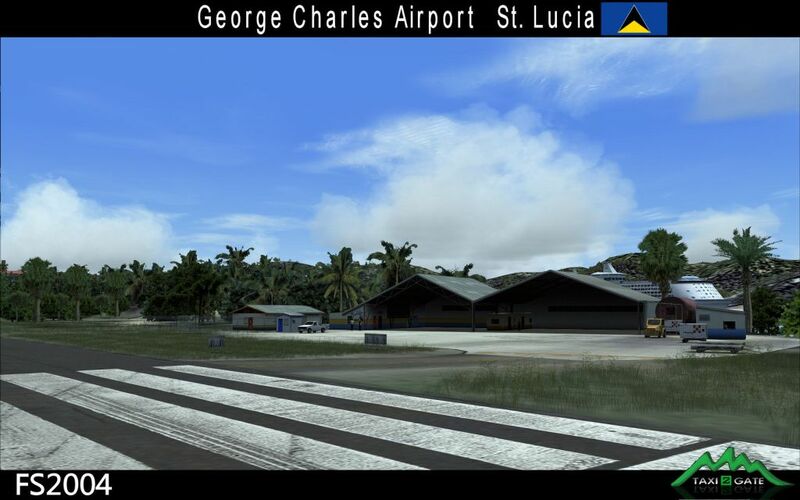 It is located 2 km (1.2 mi) north of Castries, the capital city. 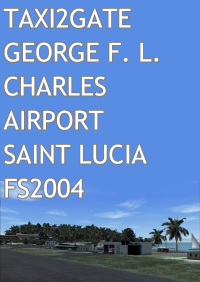 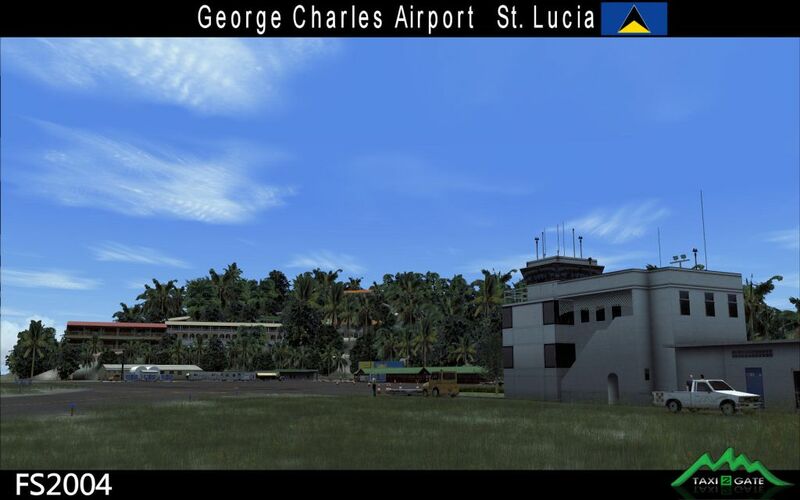 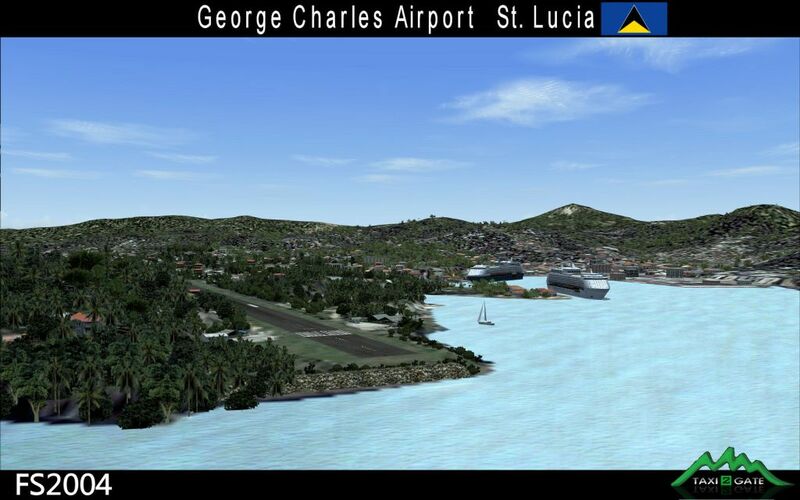 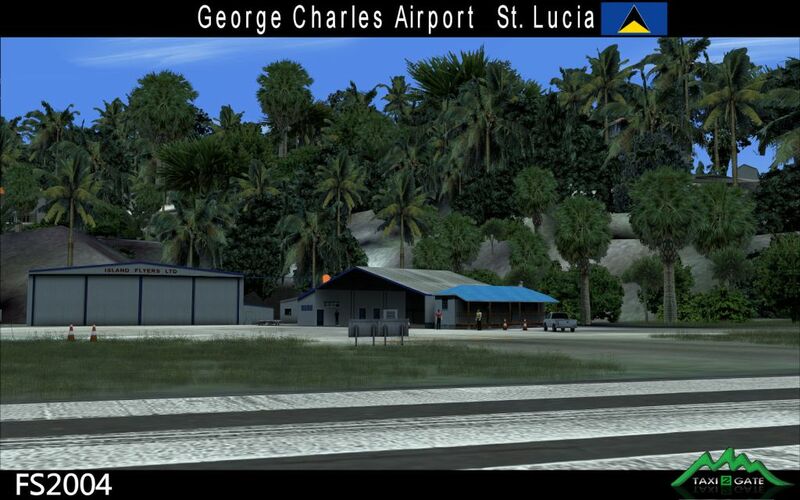 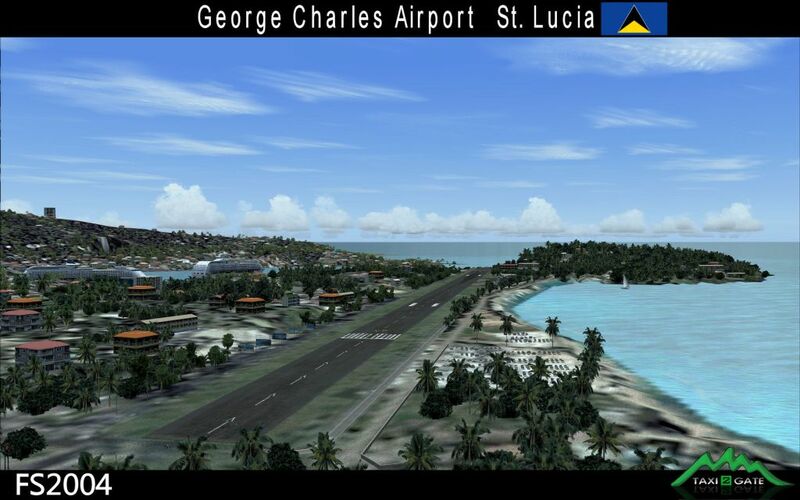 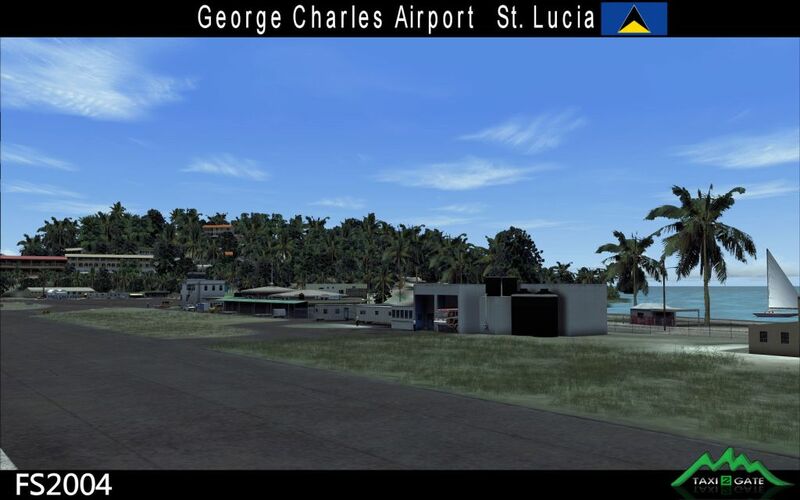 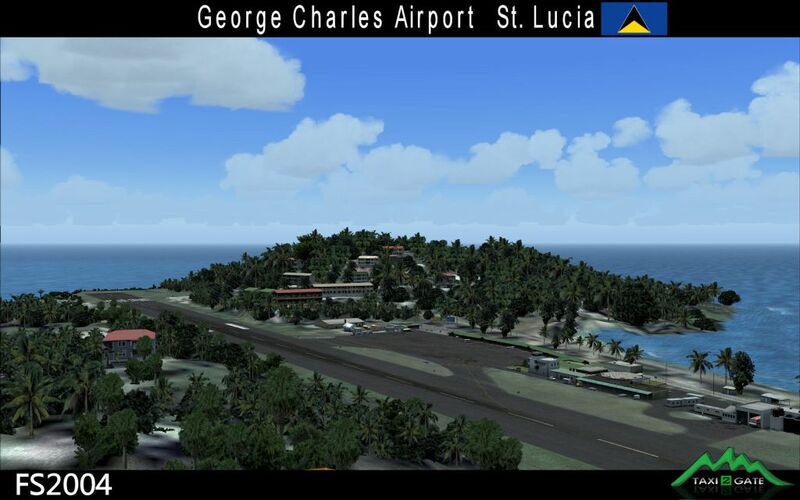 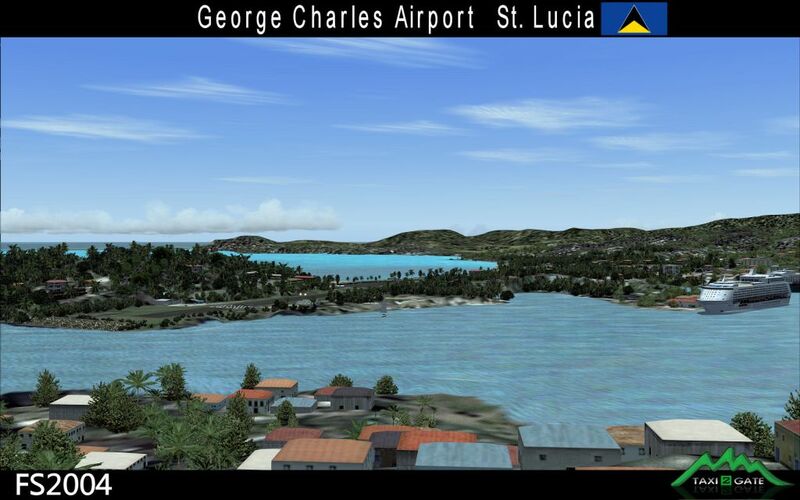 George F. L. Charles Airport is managed by the Saint Lucia Air and Seaports Authority (SLASPA). 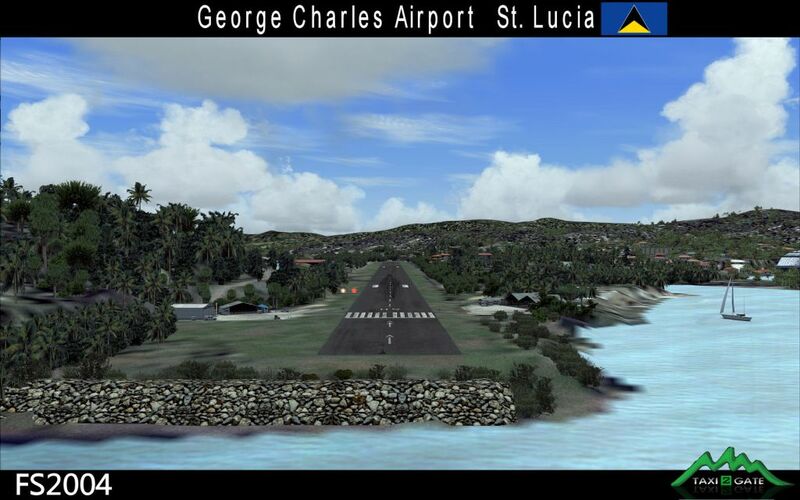 Its runway runs parallel to a pristine beach, Vigie Beach, which is a popular tourist attraction. 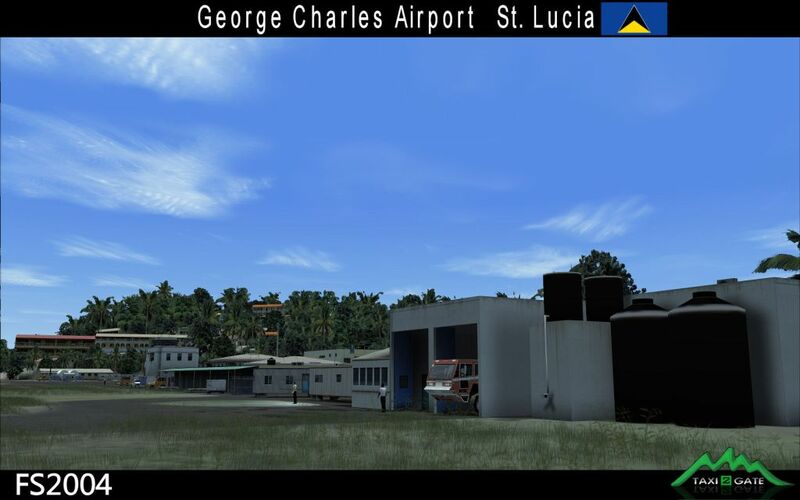 I live in St. Lucia near TLPC, and I can tell you that this scenery is very accurate! 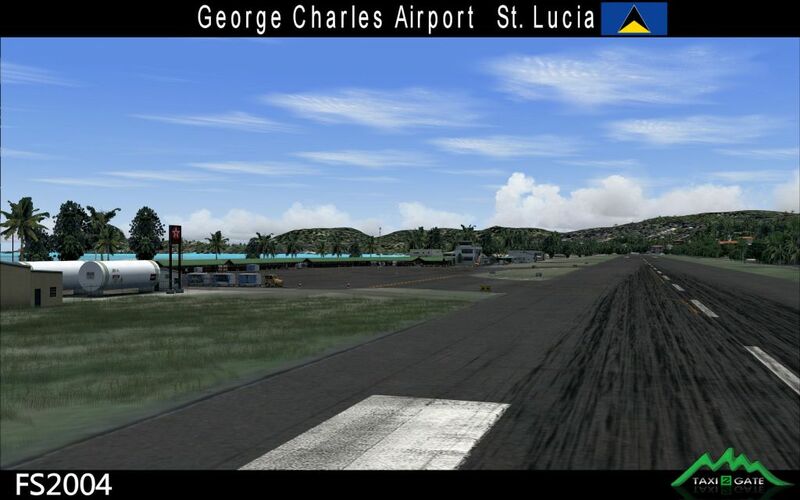 I love this scenery as it included the newly built passenger walkway along the ramp. 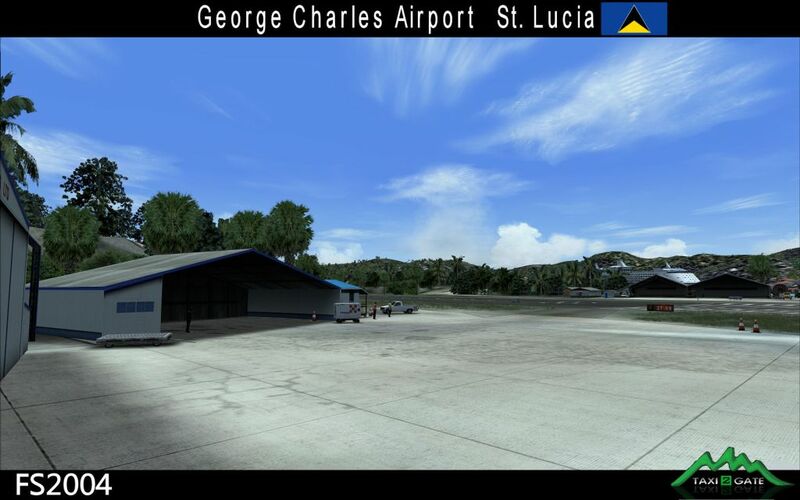 It is currently Nov 2014 and this is what TLPC actually looks like at present. 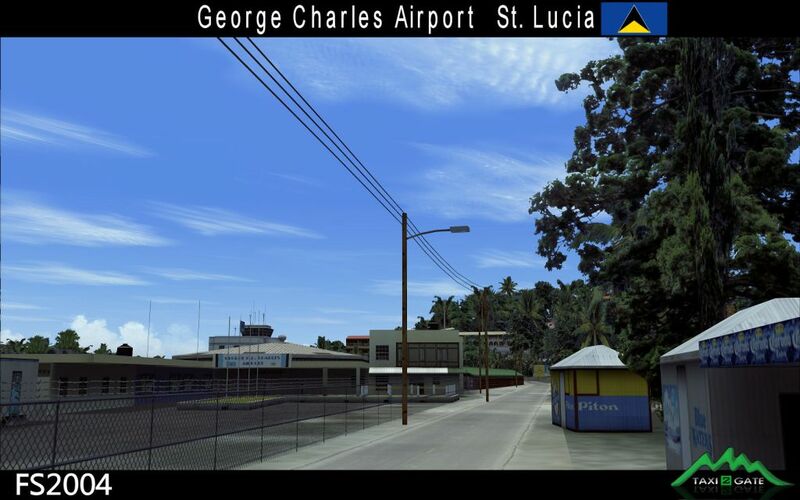 I live in St. Lucia near TLPC, and I can tell you that this scenery is very accurate! 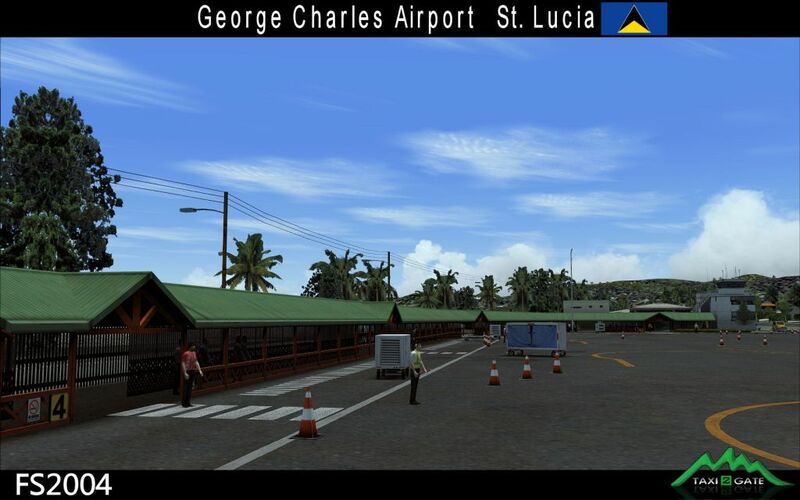 I love this scenery as it included the newly built passenger walkway along the ramp. 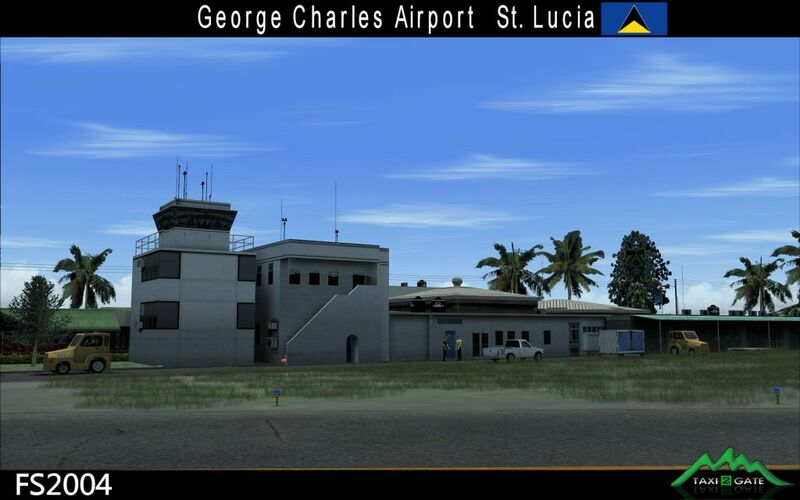 It is currently Nov 2014 and this is what TLPC actually looks like at present.